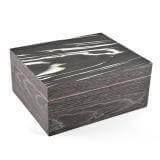 HomeStoreHUMIDORSCANNABIS HUMIDORSCannabis Humidor Raw Tree Root with Mahogany Inside. Cannabis Humidor Raw Tree Root with Mahogany Inside. 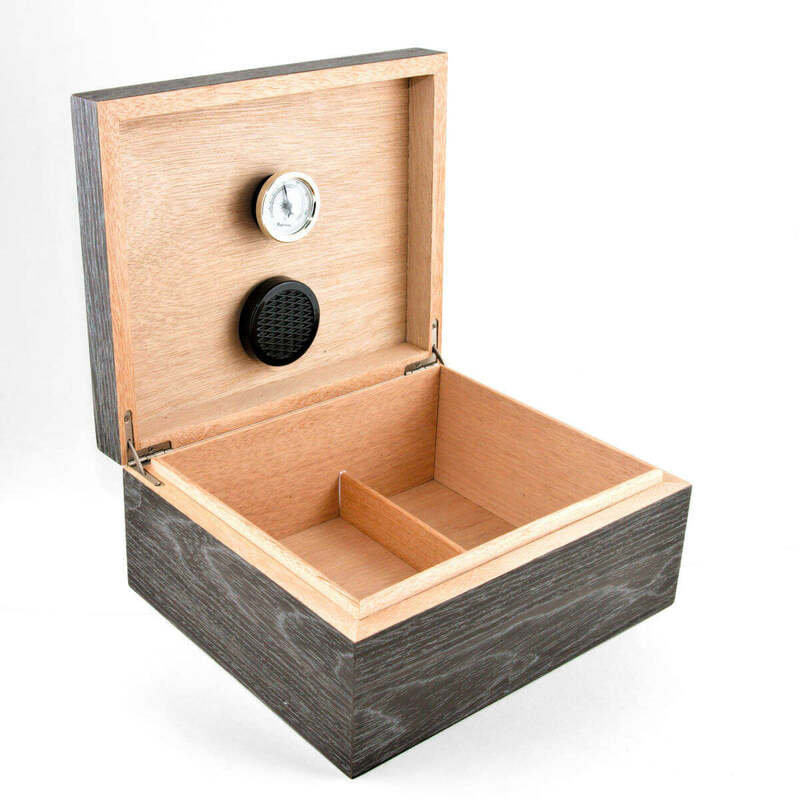 This humidor is perfect for use as a cannabis humidor. 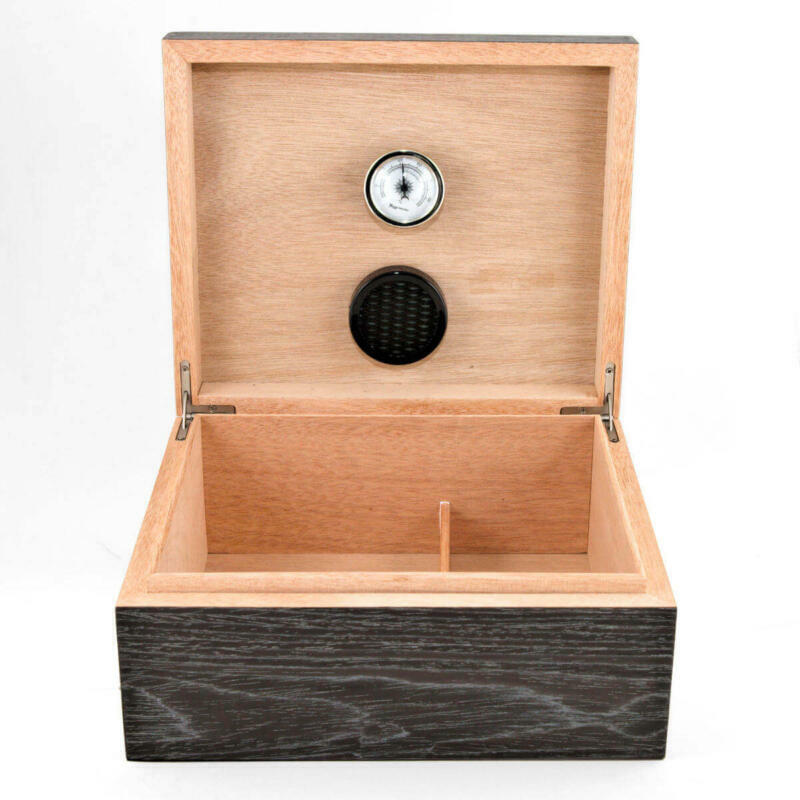 Mahogany inside makes storing your cannabis easy and hassle free. 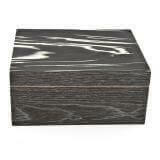 Looking for a cannabis humidor raw wood? This humidor is perfect for use as a cannabis humidor. 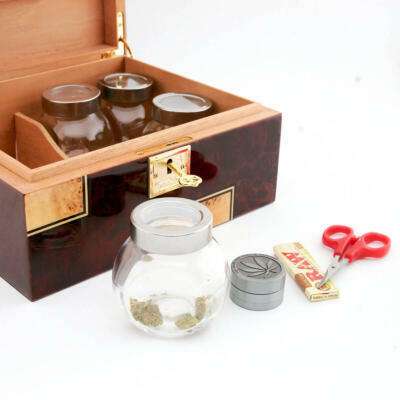 Mahogany inside makes storing your cannabis easy and hassle free. Inspirational and iconic describes the incredible Rowtan Humidor. 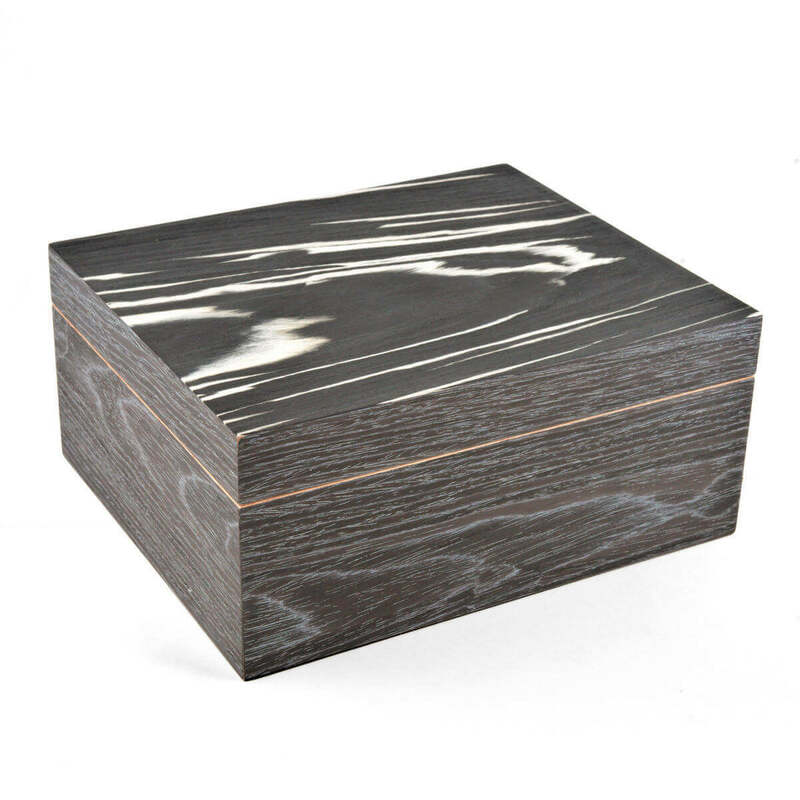 Carefully hand crafted from tree roots in a specially engineered black & white root wood veneer, it is not to be over looked. No two Rowtan humidors are the same. Each one has its own unique blend of wood grains attracting your eyes to the amazing patterns of delicate yet robust raw wood grains. 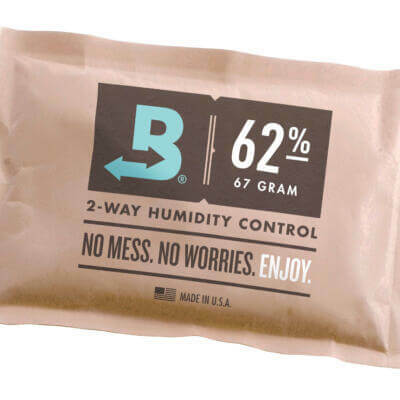 This superbly crafted cannabis humidor and lid are a perfect match that forms a tight seal to maintain a constant and hassle-free 62% humidity level. 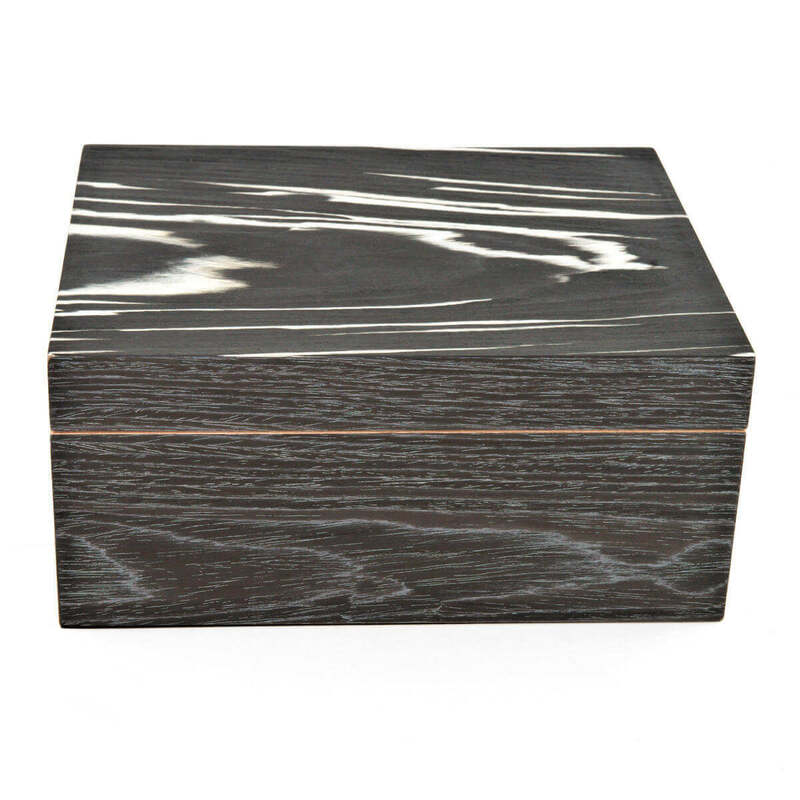 Hand crafted from beautiful Black and White tree root veneer. 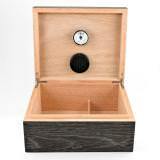 easy-read hygrometer placed on inside of Humidor. Felt on bottom for scratch resistance. 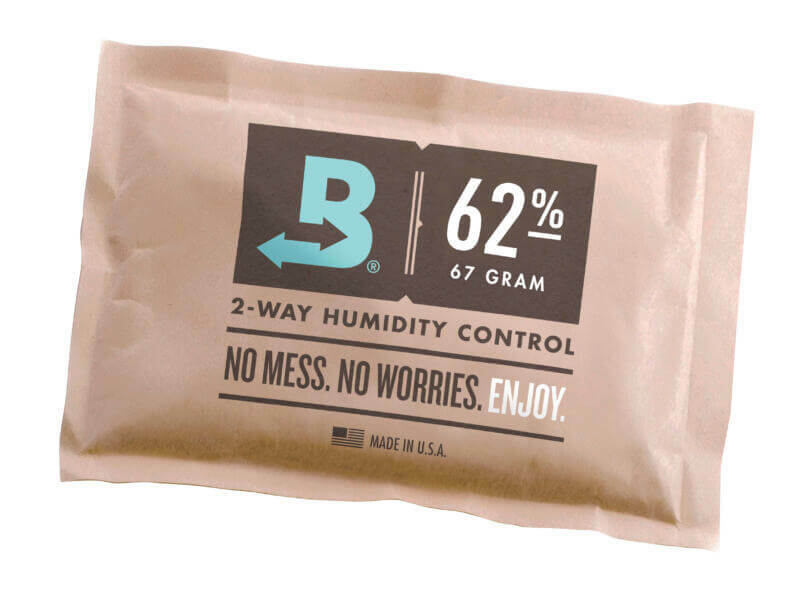 One 62% Boveda Two-way Humidity pack.